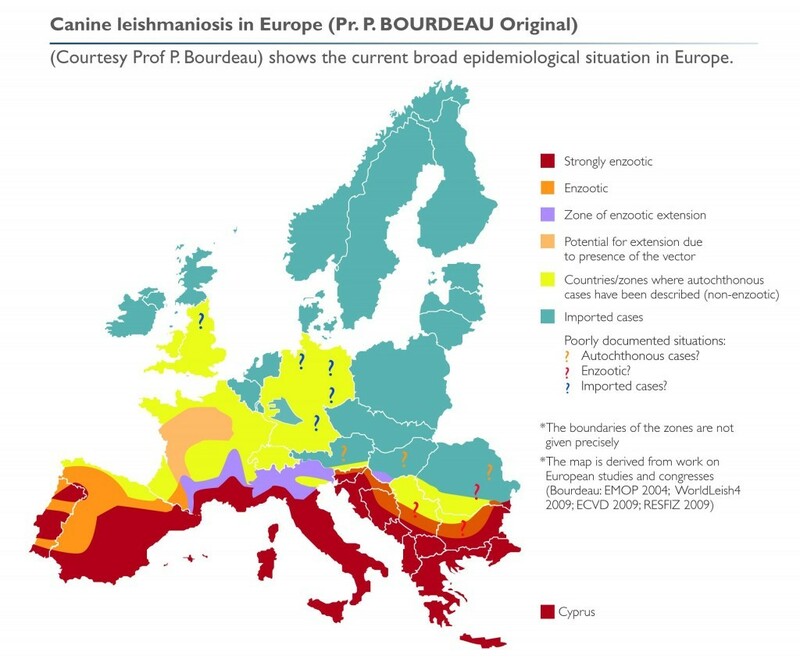 The above is a map of where Leishmania is prevalent. 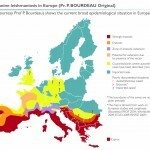 If you are taking your pet to any of these “hotspots” you should seriously consider leishmania vaccination and sandfly control. Use of a rapid serological diagnostic test is recommended prior to vaccination in animals who have previously been at risk of exposure to the Leishmania parasite. If this test is negative, you can start the vaccination course. Primary vaccination course: three subcutaneous doses. First dose can be administered from six months of age. Second and third doses are administered at three-week intervals. Then, only one re-vaccination per year is necessary. Bring the vaccine close to body temperature by warming it in the hand. Massage the injection site lightly after administration. Separate the time of vaccination with CaniLeish® from all other vaccines by at least two weeks.